SACRAMENTO—The Assembly Committee on Public Safety failed to pass AB 875 (Cooper) which would have addressed many of the problems that have surfaced because of Proposition 47. 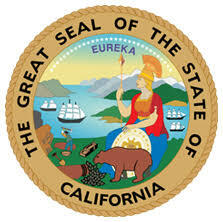 Approved by California voters in 2014, Proposition 47 re-classified many crimes considered to be “non-serious, non-violent” as misdemeanors instead of felonies. As a result of the reduced penalties, repeat offenders have begun to take advantage of a penal system unable to hold those offenders accountable. The California Police Chiefs Association had hoped the members of the Assembly Committee on Public Safety would help local law enforcement officials, businesses, and city government – all who supported the bill – in addressing this issue. Regrettably, we did not receive such support. Regardless of this outcome, we remain committed to addressing this issue and will exhaust all other options available to us.